DUBLIN, Ireland, November 13, 2017 (ENS) – December 2017 is the last month when wild animals in circuses can legally be shown to Irish audiences. Michael Creed, Ireland’s Minister for Agriculture, Food and the Marine, has signed regulations banning the use of wild animals in circuses that perform in Ireland. The Circuses (Prohibition on Use of Wild Animals) Regulations 2017 will take effect on January 1, 2018. “This is a progressive move, reflective of our commitment to animal welfare. I am of course allowing a modest lead-in period to allow for alternative arrangements to be made for the animals in question,” the minister said. “Coming in line with modern welfare standards will mean that greater numbers of the public will be more comfortable with going to the circus,” said Creed. And earlier this month, India banned the use of all wild animals in circuses. The Central Zoo Authority of India’s Ministry of Environment, Forests and Climate Change has canceled the recognition of all circuses in the country, after CZA inspections in which extreme animal cruelty was reported. In 1998, bears, monkeys, tigers, panthers, and tigers were banned from being forced to perform for entertainment acts in India, but elephants were exempt from that law. 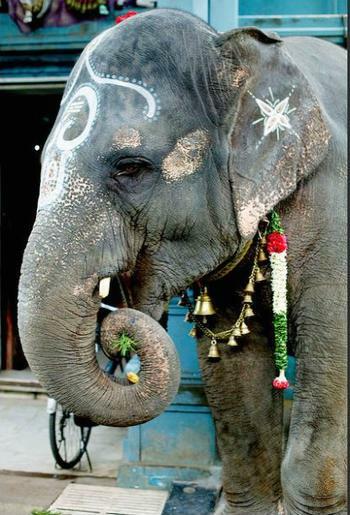 In 2013, India officially banned elephants from circuses. Now all wild animals are banned from circuses. The CZA member secretary Dr. D.N. Singh, said there are now no circuses recognized by the governing body, as all circuses investigated were found in violation of the laws that set basic standards for animals in circuses, such as providing animals with adequate shelter and veterinary care. And animal advocates have even more to celebrate. 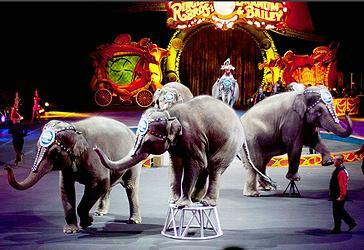 Italy, with one of the biggest circus industries in the world, banned all animal circus acts on November 8. Italy voted to phase out all animals in circuses and traveling shows following a vote in the Assembly of the Parliament. Rules for implementation of the new legislation will be defined within one year by a ministerial decree. Italy is the 41st country to pass a national law prohibiting animals in circuses, affecting an estimated 100 circuses and some 2,000 animals. 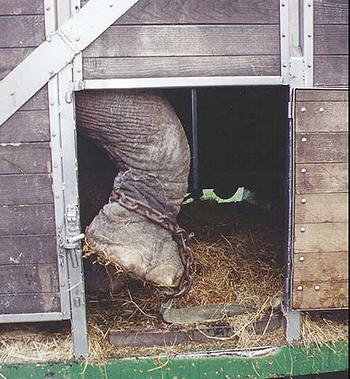 These achievements are the result of a decade of campaigning to stop circus suffering in Ireland by Animal Defenders International, ADI, and partner the Animal Rights Action Network, ARAN. Ireland a sovereign state in north-western Europe occupying 26 of 32 counties of the island of Ireland. The capital and largest city is Dublin, which is located on the eastern part of the island, and whose metropolitan area is home to around a third of the country’s 4.75 million inhabitants. The state shares its only land border with Northern Ireland, a part of the United Kingdom. Since the launch of the ADI and ARAN Stop Circus Suffering campaign in Ireland, the number of wild animals used has fallen from nearly 70 to just a few. The Arts Council has also slashed its funding of animal acts, and a growing number of local bans have been introduced across the country. The controversial circus packed up and made its way to France less than two months into a nine-month tour. In the United States, the ADI campaign was accelerated by the collapse of Ringling Brothers Barnum and Bailey Circus, which did its final “greatest show on earth” in May, closing after 146 years. Audience numbers for the circus shrank, show costs grew and the circus took criticism from animal rights groups. Now, ADI is calling for the U.S. Congress to support the Traveling Exotic Animal and Public Safety Protection Act (HR1759), a federal bill that would end the use of wild animals in traveling circuses. Introduced by Representatives Ryan Costello, a Pennsylvania Republican, and Raúl Grijalva, an Arizona Democrat, the bill currently has 32 co-sponsors and ADI is calling for more. Yet, the show goes on for Alexander Lacey’s circus acts, the next target of the ADI and its partners. The former Ringling big cat trainer is back performing in Europe following his controversial departure from the United States. Suzy, a tiger belonging to Lacey, was shot dead in the U.S. state of Georgia on September 6 after escaping during a journey without anyone from the circus noticing. Animal Defenders International filmed the British-born trainer with his lions and tigers at the “Grande Fête Lilloise du Cirque” as the event opened in Lille, France, where Lacey performed in November before moving to Germany. His 14 big cats featured in the circus performance live in mobile cages on the backs of trucks, with just a small exercise area provided for each. The big cats pace back and forth, an abnormal, repetitive behaviour commonly seen in circus animals but never the wild, says ADI. Undercover investigations by Animal Defenders International inside animal circuses in Ireland, the UK, Europe, the United States, and South America have lifted the curtain on the abuse that goes on behind the scenes. These investigations have led to bans in: Greece, Singapore, Costa Rica, Taiwan and Colombia. In Bolivia and Peru, ADI has completed major enforcement operations with wildlife officials and police, tracking down every circus and rescuing all the animals. Some 200 animals have been rescued and relocated.